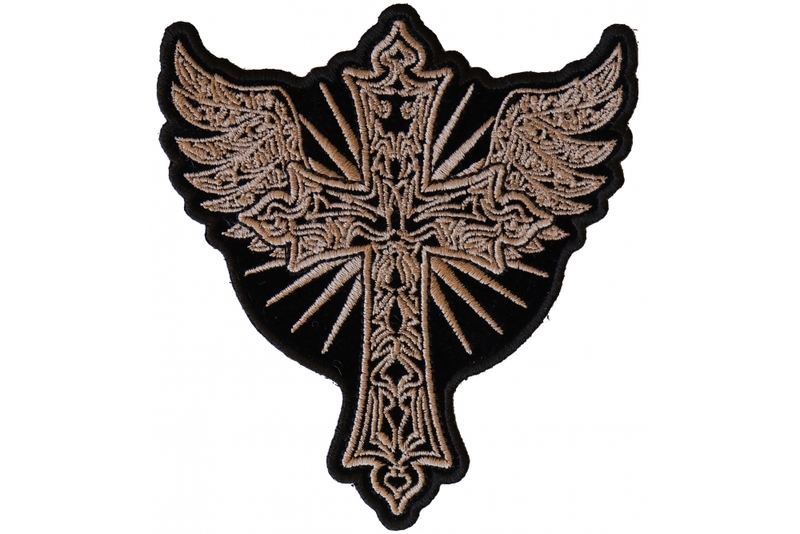 Christian Cross with Wings Patch measures 3.8x4.2 inches and is Embroidered in Black / Brown. The Small can be sewn on or ironed on to clothing. The Christian Cross with Wings Patch features plastic iron on backing and clean laser cut embroidered borders. 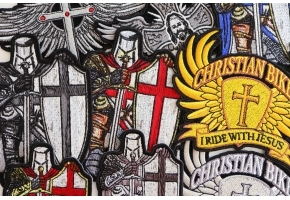 Finally an awesome looking Christian Cross patch is now available as a small pocket patch and large back patch. Embroidered in a rustic brown color this Cross design is going to be a #1 Seller in 2019, just debuted in late 2018 and is already flying off the shelves. Christian Cross with Wings Patch is one of those lovely patches which can be worn everywhere but, this patch makes a lot of sense to the ones who follow a particular cult. Also, this patch can be used by bikers and music lovers as it gives a different feeling altogether. 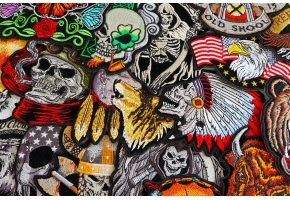 Getting this patch stitched or sewn on leather or a denim jacket would not only make you look stylish but it can instill a beautiful feeling altogether about a lot of things. Get this patch today done either on your denim or leather jacket and walk away with a sense of satisfaction and dignity.